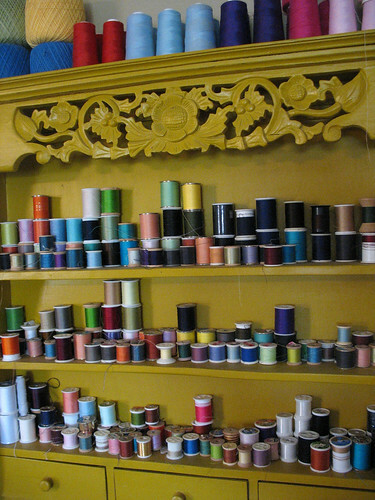 A place for everything.... - Stop staring and start sewing! This is where I keep my thread and just looking at it makes me happy. 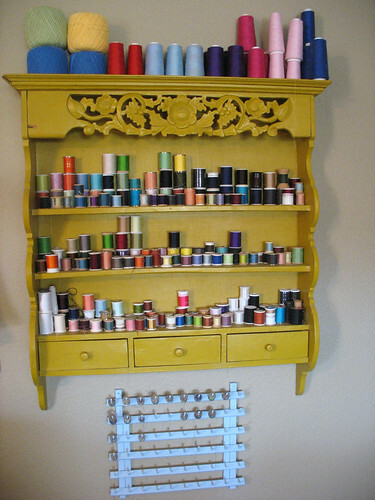 Spools on top, bobbins on bottom (oh, and I keep my empty bobbins in the little drawer on the left). I could put my thread in color order but how boring would that be? Sigh.